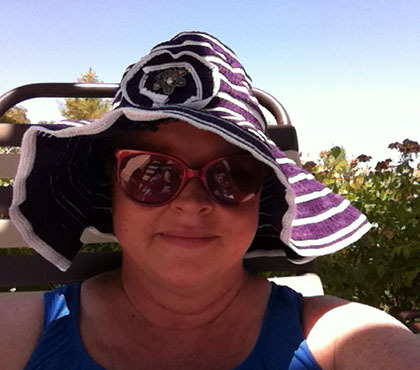 When I was first diagnosed with inflammatory breast cancer, my first impression was that it was a death sentence. What about my two teenage children? What about my husband of 27 years who had been my high school sweetheart? What about happily ever after? As I went through diagnosis, surgery, and treatment I have been overwhelmed by God’s good grace and the unwavering support of my friends and family. Even the subsequent diagnosis of bone metastasis could not weaken the support and encouragement that I receive from my loved ones. They are lifting me up to acceptance of this new way of life. I now focus on a life sentence in the most positive sense. I no longer dwell on the end but the here and now. I strive for happiness and normalcy in all things. I truly take the opportunity to cherish this beautiful world. Being able to enjoy a vacation with my family would help me feel normal again. I would break the focus away from this test and that. Appointments after appointments. A chance for us to bond together over good times.